Hello, all you lovely young. . . things. 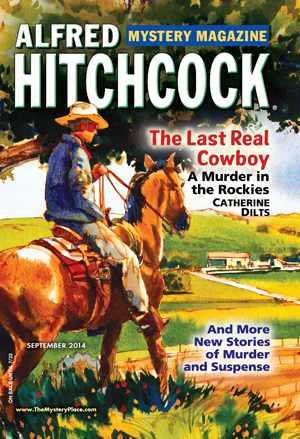 The September 2014 issue of Alfred Hitchcock’s Mystery Magazine is out in the world. This one contains my short story “Lovely Young Losers,” set against the backdrop of beautifully dreary winter (or autumn or spring — anytime but summer) in Vancouver, BC. Canadian friends and readers will spot a very American sort of error (wholly my own) in the print version of my story (rectified in the e-version) for which I can only say . . . sorry, y’all. I spent part of that year in Vancouver, part in Montreal, part in Grenada, part in Austin, and part in Portland. Chaos reigned. . . or more aptly rained, as in dribbled all over my life in itty bitty droplets fine as Vancouver mist.